While plenty of shows offer spook-filled Halloween episodes that bring the thrills and chills, they also allow viewers to see how characters would dress up as characters they love. 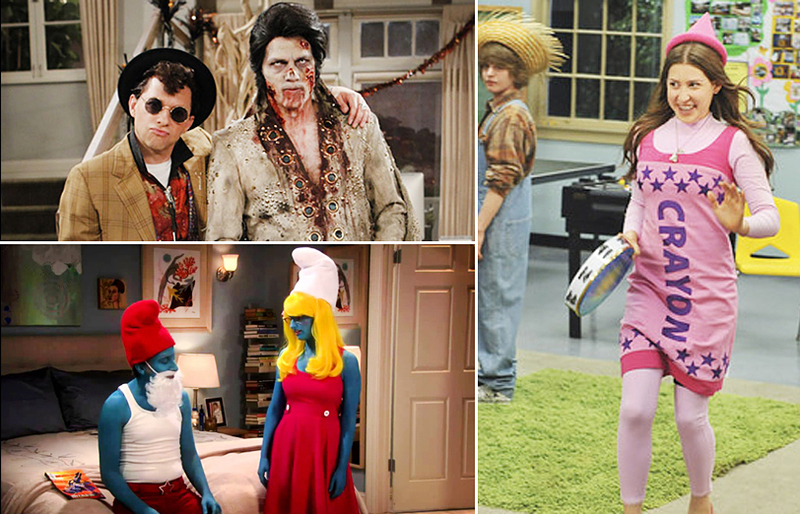 Check out the most inventive and creative costumes that have been seen on TV through the years. Almost everything is a family affair when it comes to the Johnson family, which means that a big group costume is almost a given. 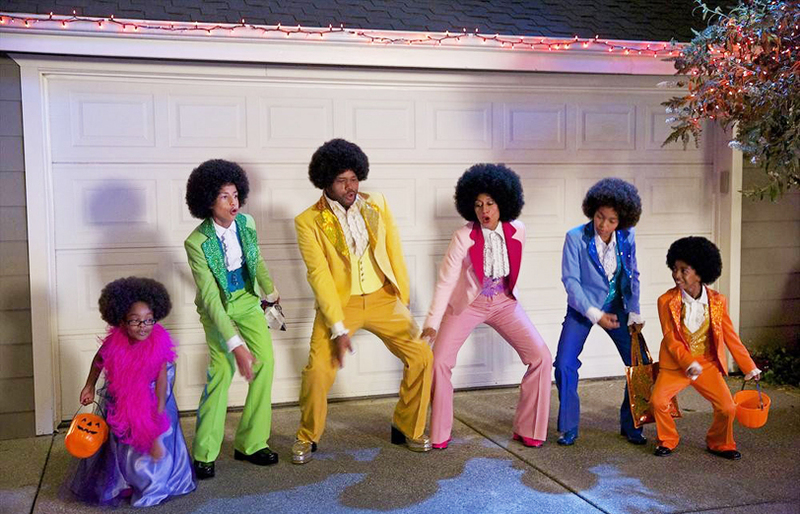 And if the Johnsons dressing up as the Jacksons wasn’t an amazing idea to begin with, their color-coordinated outfits make this ensemble’s, well, ensemble an instant classic. After attending countless convention cosplays and Halloween parties, it’s no surprise that both Howard and Bernadette would commit fully to a couple’s costume in the Season 6 ep, "The Holographic Excitation." Right down to spending three hours painting themselves blue. This makes it all the more understandable when Bernadette overrules Howard’s desire to skip out on Stuart’s Halloween party, insisting they go together so no one mistakes her for a short version of the Na’vi from Avatar. If there was ever a television character who summed up Rosie’s “We can do it!” spirit, it’s Pawnee’s Leslie Knope. With her feminism-informed go-getter attitude and willingness to take on any job, it was fitting that Leslie chose the female pioneer costume for the Parks Department Halloween screening of Death Canoe 4 during Season 5. Bonus points: Her BFF Ann chose a topical (at the time) costume, dressing up as Olympic gymnast Gabby Douglas. Three really is company with this creative—and sweet—costume that let best friends Marshall, Ted and Lily celebrate their friendship. All this without making Ted feel like too much of a third wheel in Marshall and Lily’s relationship. Faced with the daunting task of picking a good Halloween party costume, Mindy questions why she has to choose between being funny or attractive, opting to go with witty instead. Cue a montage of two amazingly punny mash-up costumes: the genius Tinkerbell Tailor Soldier Spy and the slightly offensive Lil Wayne on the Prairie. As the Nine-Nine’s resident foodie, it made sense that Boyle would pick a food-related costume to wear. Unfortunately for him, no one else on his squad recognized him as the “ginger prince of Little Italy”—despite the wooden spoon and Batali’s trademark orange Crocs. Peanut Butter and Jelly go together only half as well as the Pines twins. And Dipper and Mabel’s different personalities complement each other so well that their duo Summerween costume—much like all their previous Halloween costumes—is both adorable and a perfect representation of their friendship. Sue’s sunny attitude exceeded the finishing touch on this classic Season 1 Heck Halloween costume, which saw her unexpectedly receive her first kiss on a church-organized hayride. Later during Valentine's Day, the same optimistic confidence would see her don the colorful costume again in search of her mystery kisser at the school dance. Sure, the study group’s close friendship often led to epic shenanigans, but those didn’t come close to the tight bond shared between best friends and “morning show” hosts, Troy and Abed. So it's only fitting when they dress up as Bill Watterson's iconic mischief-makers in Season 4, with Troy as the silly tiger, Hobbes, and Abed as the precocious Calvin. Castle went meta in Season 2 by having Richard Castle dress up as a “space cowboy,” in a homage to actor Nathan Fillion’s other beloved TV character, Mal Reynolds, from Firefly. And even more meta: the costumes that Ryan and Esposito wore to Castle’s Halloween party also referenced previous characters both actors played in real life. Ross’ nerdy costume during Season 8 was a fun word play on the Soviet space satellite, Sputnik. The costume, worn to Chandler and Monica's Halloween party, was not a big hit with his friends who mistakenly (and later, purposely) call him a “space doody.” But when Ross’ then-girlfriend, Mona, identified his costume within a few seconds of seeing him, it underscored how much she was suited for him. Gabe’s general gawky demeanor and all-round awkwardness was a frequent source of comedy in the later seasons of the beloved workplace comedy. Which meant that viewers were guaranteed some Halloween hilarity in Season 7 when the lanky guy chose to dress as one of pop’s most iconic and fabulous performers, Lady Gaga, for Dunder Mifflin/Sabre's costume contest. Sometimes a character is so awesome that it defies gender boundaries—and such is the case with Bill, who decided to dress up as the Bionic Woman for trick or treating. While it does earn him some laughs and ridicule, the painfully earnest teen still got to be a character he clearly loved. This John Hughes-inspired Halloween costume was also another meta moment in a show. For fans of the seminal ‘80s classic movie Pretty in Pink, Jon Cryer stepped into his old pointy-toed shoes to reprise his role as everyone’s favorite Otis Redding lip synch-er, Duckie. All that was missing: Molly Ringwald as Andie. It’s hard not to lose your head over this extremely inventive costume, which saw in-laws Dan and Jackie team up to portray the decapitated French queen, with Dan as the gilded “body” and Jackie as the chopped-up “head.” Considering the all-out annual Halloween eps, this Season 5 stunner might have been the show’s most extravagant getup.